The video below shows a Camel Gastrolith photographed by chris jordan. There are 500+ plastic bags in this mass pulled from the gut of a dead camel. Don’t let the manufacturers of plastic bags stop the ban of these needless toxins in California. Read what Chris Jordan (creator of the above video) has to say about this piece here. See a much larger version of this video here. Do sheep belong in a wetlands area? 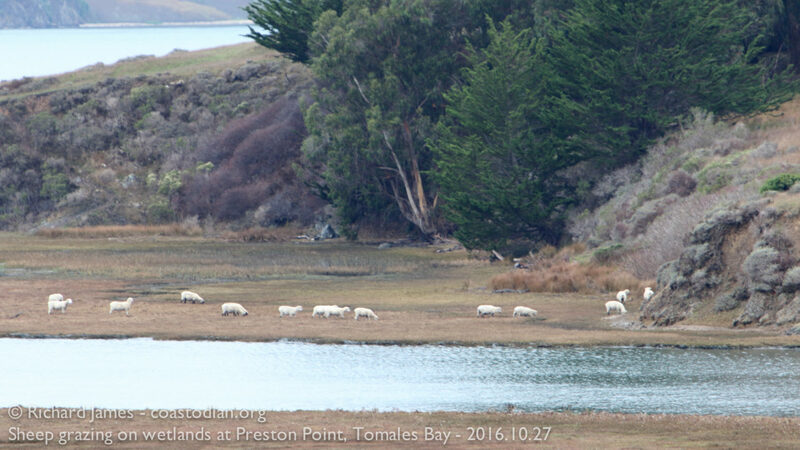 Sheep grazing on wetlands at Preston Point. ~ 400 meters away are millions of oysters growing in the mudflats. 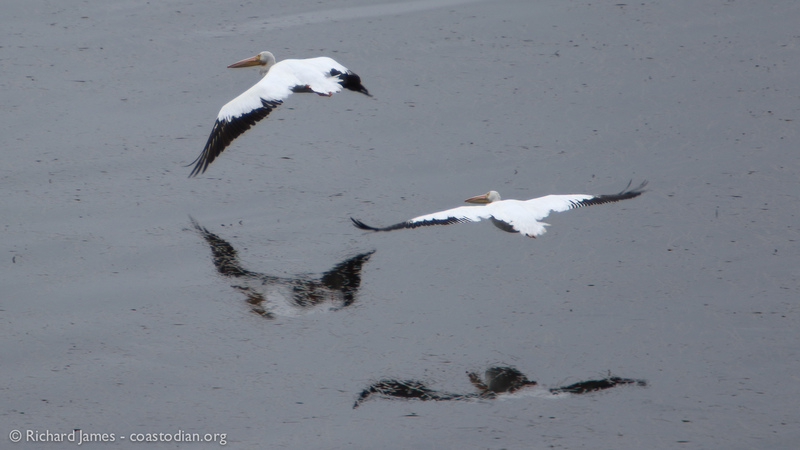 Brown Pelicans generally dive from above to find their meal. 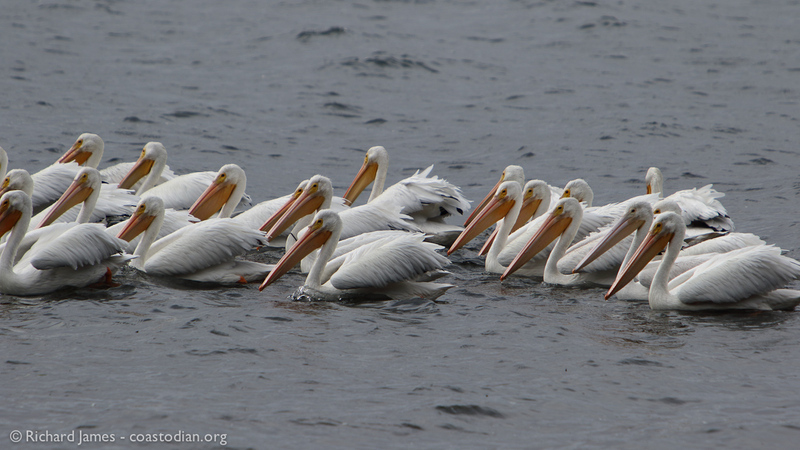 The larger White Pelicans generally work as a team, herding their supper. I could watch either species all day. 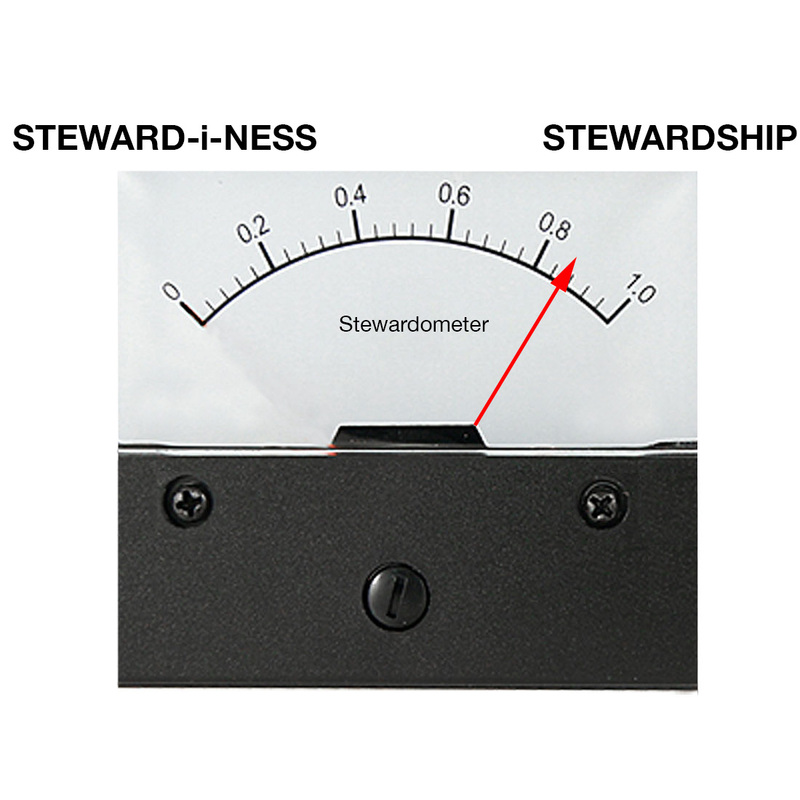 As usual, click on an image to see a larger version. Everyone please vote yes on Proposition 67 to keep the statewide ban on plastic bags in place. Please vote no on Proposition 65, a red herring put forth by the manufacturers of plastic bags to confuse you. 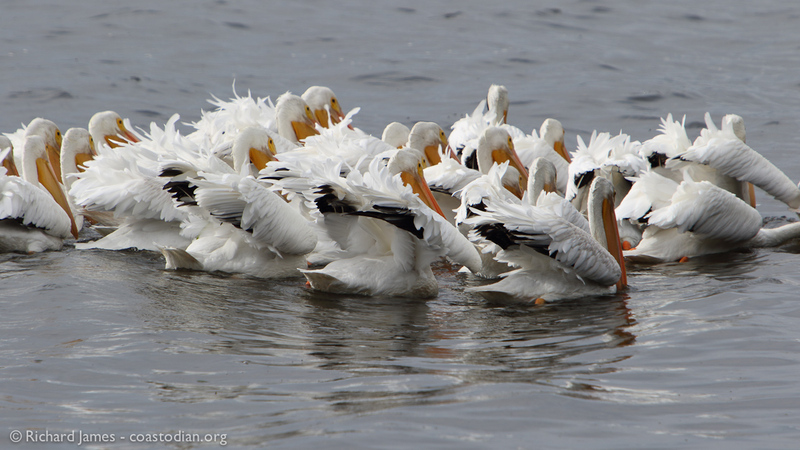 Wouldn’t you rather see the feathers of these stunning White Pelicans blowing in the breeze than a bunch of plastic bags? (1) To cover costs associated with complying with Proposition 67. (2) To cover the costs of providing the recycled paper or reusable bags. (3) To provide educational materials encouraging the use of reusable bags. Proposition 65 would allocate the revenue into a new state fund, the Environmental Protection and Enhancement Fund, which could be expended to support drought mitigation, clean drinking water supplies, recycling, litter removal, wildlife habitat restoration, beach cleanup, and state, regional, and local parks. Stores would not keep the revenue from a state-mandated sale of carryout bags. Should Proposition 67 pass and Proposition 65 be defeated, then revenue from the state-mandated sale of carryout bags would go to stores to be used for covering costs and education. Should Proposition 67 be defeated and Proposition 65 pass, then there would be no single-use bag ban. Furthermore, should California legislate a bag ban, all revenue from that ban would be allocated to an environmental fund. Should both propositions pass, but Proposition 67 by a larger margin, then revenue would go to stores. Should both propositions pass, but Proposition 65 by a larger margin, then a statewide single-use bag ban would go into effect and the revenue would go into an environmental fund. The Legislative Analyst’s Office also notes that Proposition 65 might prevent Proposition 67’s bag ban depending on how court’s interpret the propositions. Should both propositions be defeated, then there would be no single-use bag ban, nor a requirement for how revenue be distributed should California legislate a ban in the future. Click the words above “Route 1 – Racetrack or public road?…” to see this entire post. Anyone that lives along the coast knows how dangerous it is to embark on a trip to the market, especially on the weekend. The beauty of the area that brought those of us to live here brings many visitors each and every day. 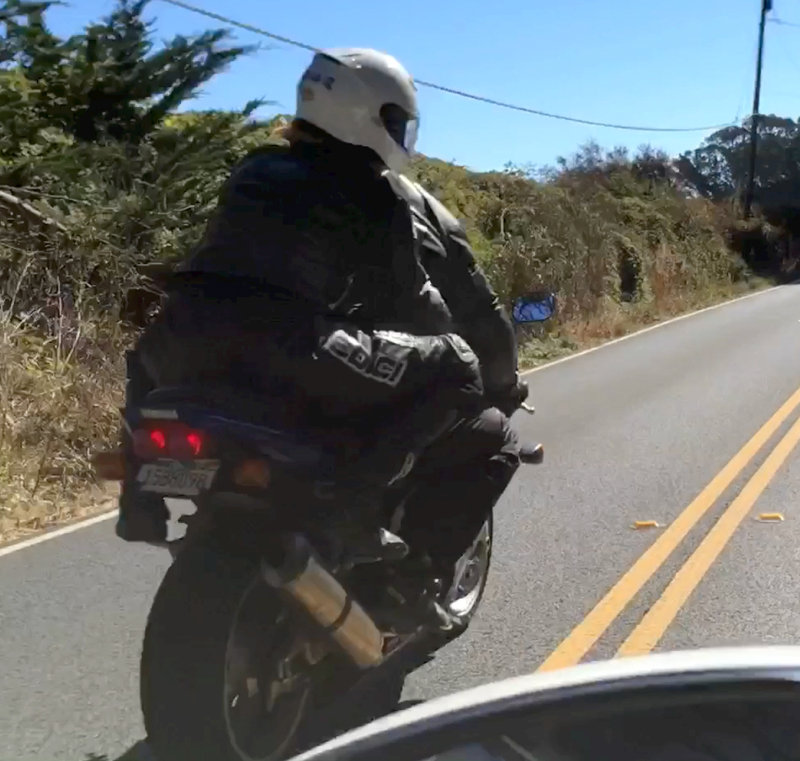 This includes large groups of bicyclists, some more than others able to safely ride on a shoulder-less road, as well as large groups of menacing motorcyclists. Many of whom are hellbent on racing as fast as they can, no matter what danger they bring to all those around them. 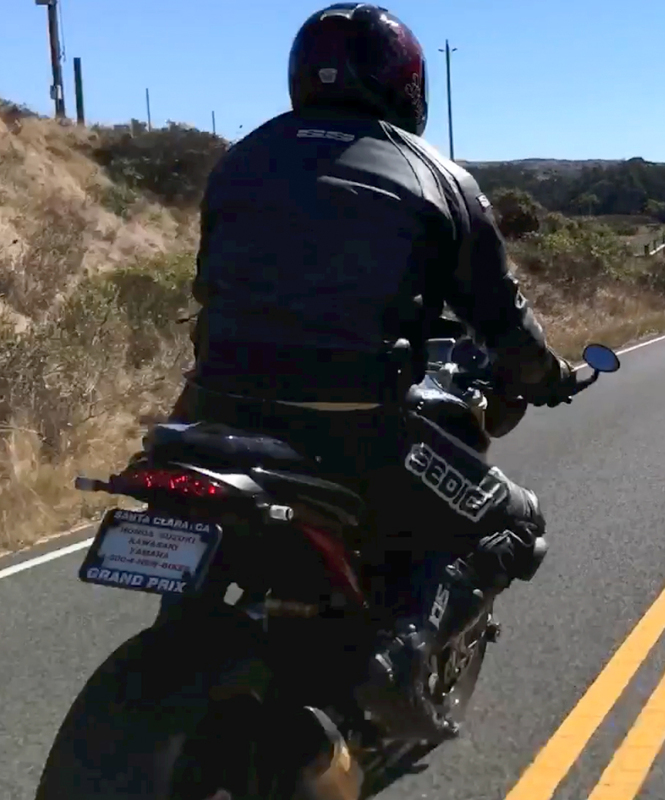 Below is a video recorded on 9 October 2016 as I drove south from Nick’s to the Point Reyes Station Sheriff’s Office. 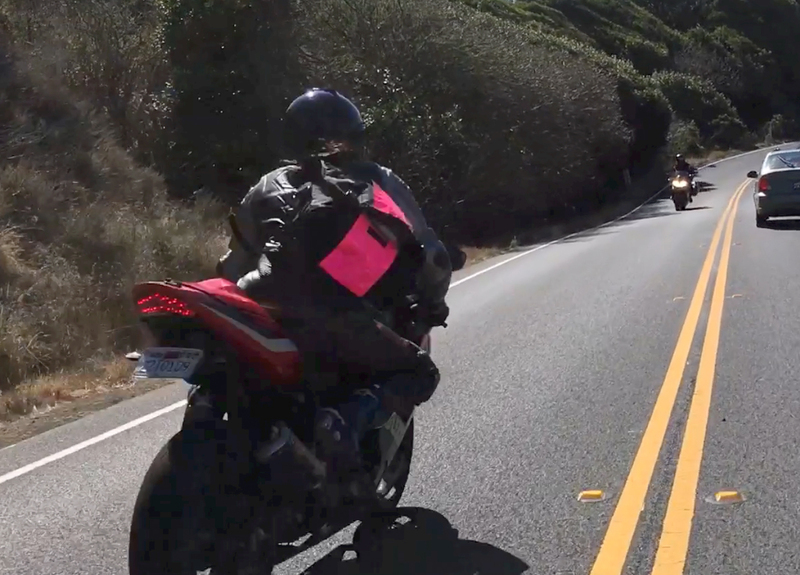 It is a bit over 7 minutes long and contains more than 5 clear instances of outlaw riders passing numerous vehicles, crossing double yellow lines, passing on blind corners, passing before a blind hilltop. Unfortunately I was unable to record the fool that popped a wheelie as he passed several cars next to the always crowded Marshall Store. I’ve sped up the parts with no crazy riding to shorten the clip. Please forward to your favorite politician and law enforcement officers. 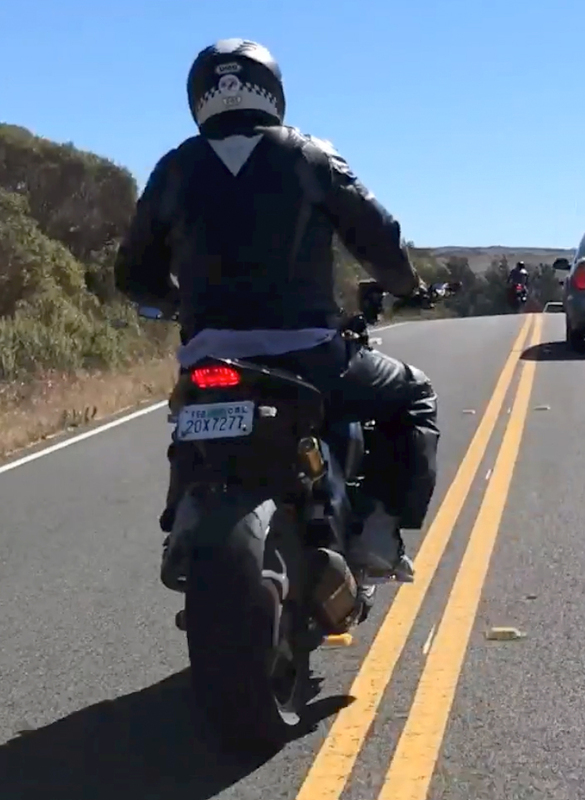 Below are screen grabs of the offending cyclists as they pass me, with my best guess at their license plates. 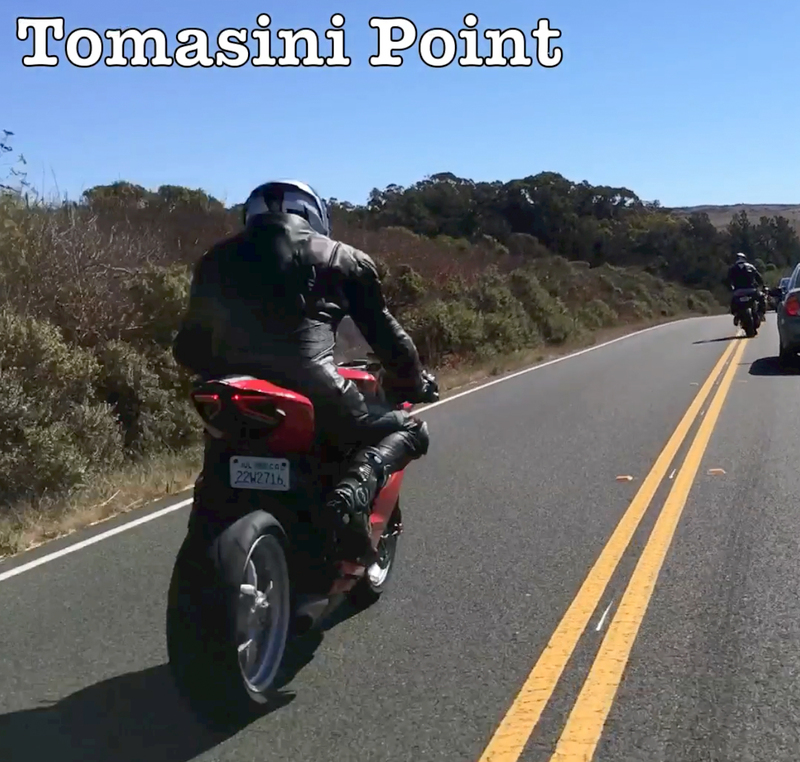 Click on the words above “Respect Tomales Bay – Stewardiness defined” to see this entire post. Last week The Tomales Bay Watershed Council hosted another fine “State of the Bay Conference at The Inverness Yacht Club. I was kindly given a few minutes to present some of my findings from the past 3 years of paddling and cleaning Tomales Bay. 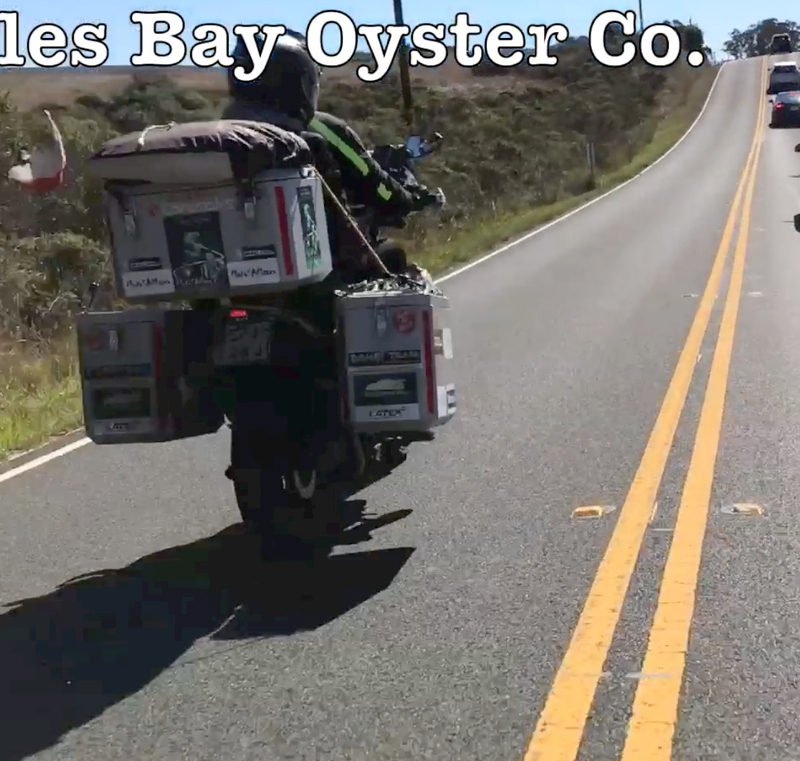 Tomales Bay oyster growers, some of them anyhow, over the past 3 years have moved the needle on the stewardometer. 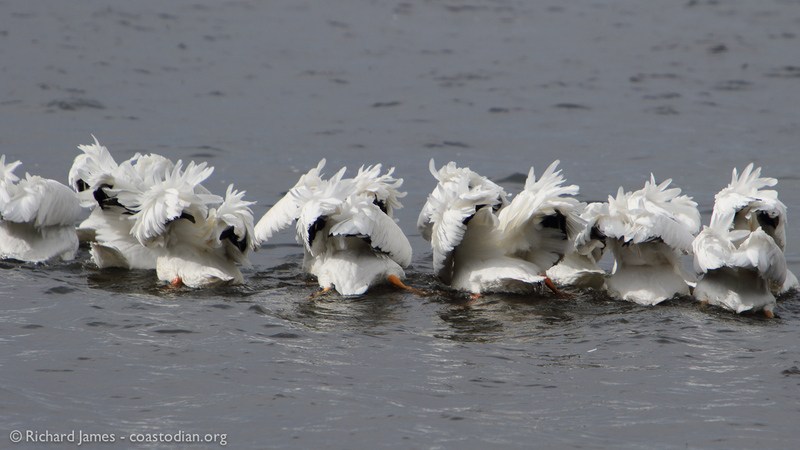 The California Fish & Game Commission continues to fail miserably in meeting their responsibility to protect and safeguard the public water bottoms they lease to private entities for private profit. 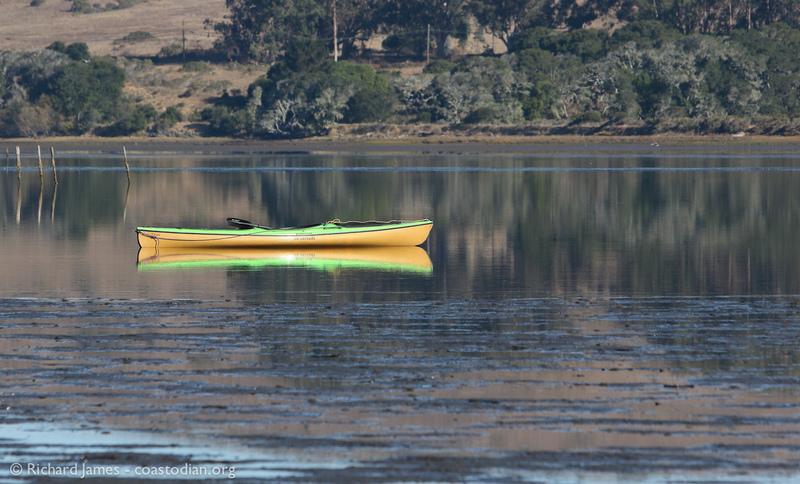 One only need travel the length of Tomales Bay by small boat, from north to south to witness a sad century of dereliction of duty in the form of abandoned oyster farming infrastructure. 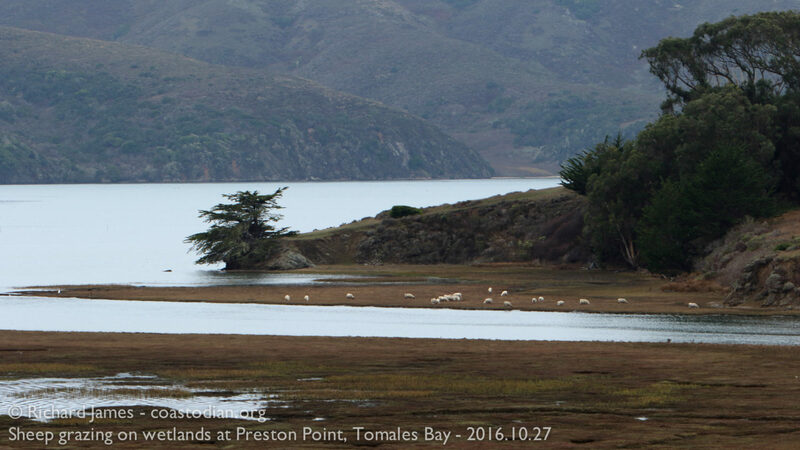 Infrastructure that continues to pose a serious threat to the health of this jewel we call Tomales Bay. Invasive plants such as jubata, pampas and ice plant pose a troubling threat to the biodiversity of West Marin. Without a strong, collaborative effort to safely eradicate these unwanted, unwelcome, invasive pests, West Marin will soon look more like Bodega Bay, Stinson Beach, Argentina, South Africa. 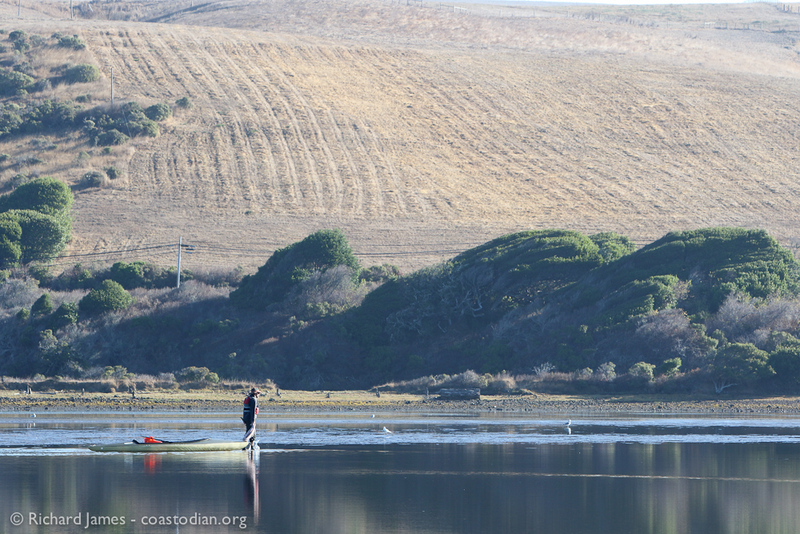 We love West Marin because of the beautiful and diverse ecosystem. These invasive plants threaten this beauty and we must act NOW! Not long ago, one learned of a special beach, fantastic fishing lake/river or magical mushrooming spot from an elder who trusted us with this special knowledge only after we earned their trust. 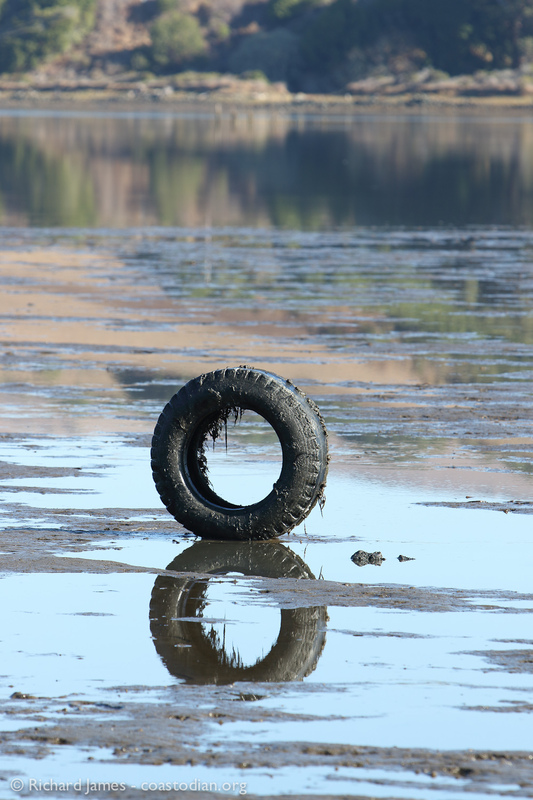 With the advent of social media and frankly too damn many people, beautiful places like Tomales Bay are being overrun by people who see no difference between the shore of Tomales Bay and the trash-filled Oakland Estuary. These careless visitors venture west, have their fun, then leave a mess in the very place whose beauty brought them on a long journey to visit. Today myself and a friend participated in an annual litter pickup known as “Litter bugs me”, started by Rigdon Currie 18 years ago. 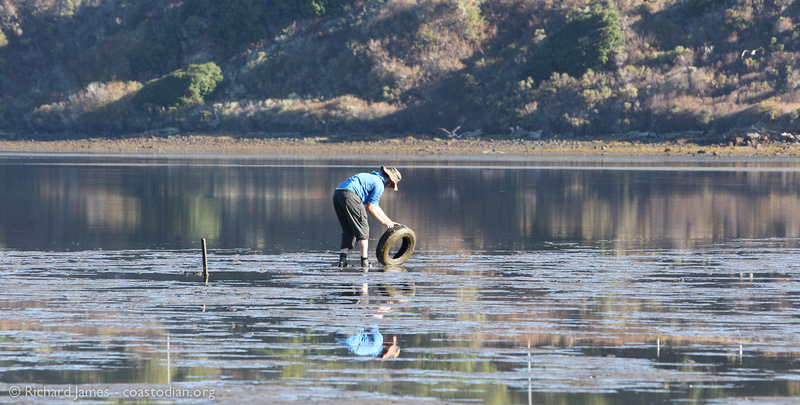 This year the cleanup extended beyond the side of the road into Tomales Bay. Two of us paddled from Chicken Ranch Beach to White House Pool, collecting all manner of trash, including 5 tires, several beach balls, a 5-gallon bucket of broken glass.